Looking to get your Drupal development & module building questions answered by a pro? Tired of reinventing the wheel with PHP? 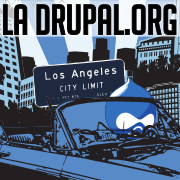 Stop rebuilding Drupal and start building on top of Drupal! This special Q&A panel of local Drupal community experts are giving you the ultimate chance to ping them with your questions about the good, bad, and uglies of developing for (and with) Drupal. Come prepared because we will be going through as many questions as the panel can in one full hour.